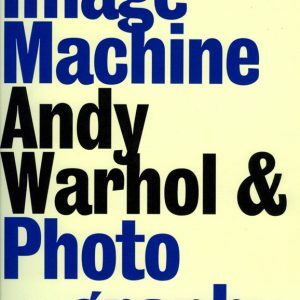 Image Machine: Andy Warhol and Photography examines the role of the photograph in Warhol’s art, its relationship to his portrait painting and his late paintings and prints, and his rigorous documentation of his social life. The book is divided into three sections: the first, “Warhol’s Mediated Image,” focuses on the artist’s appropriation of the photographic image, his initial use of the photo booth for portraits, the polaroids and his mature portrait painting process in the 1970s. Direct comparisons are made here between source material and finished work. The second section, “The 80s through the Eyes of Andy,” covers Warhol’s legendary socializing on the New York club scene of the 1980s, and contains his portraits of leading celebrities of the era. Lastly, “The Hand and the Machine” looks at Warhol’s use of photographs to create his late paintings and prints, and features works such as the Self-Portrait wallpaper (1978) and the series Ladies and Gentlemen (1975) and Torsos (1977). 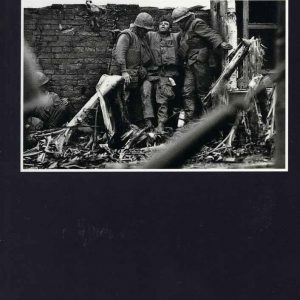 The extent of Andy Warhol’s photographic output has been only recently made apparent, thanks to the efforts of the Warhol photographic Legacy program, which assisted in the production of this volume.